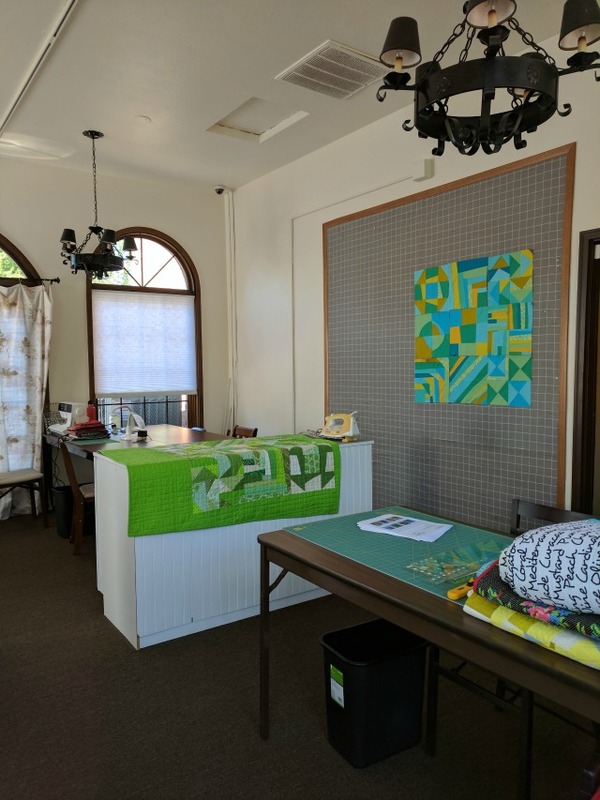 Remember several weeks ago I shared that I'd be teaching a class on improvisational quilting at Gossypium Quilt Shop? Well yesterday was the day! Gossypium has a really comfortable and well-lit classroom, and it was perfect for our six participants - everyone got their own table so they could spread out, which is so great for improv. 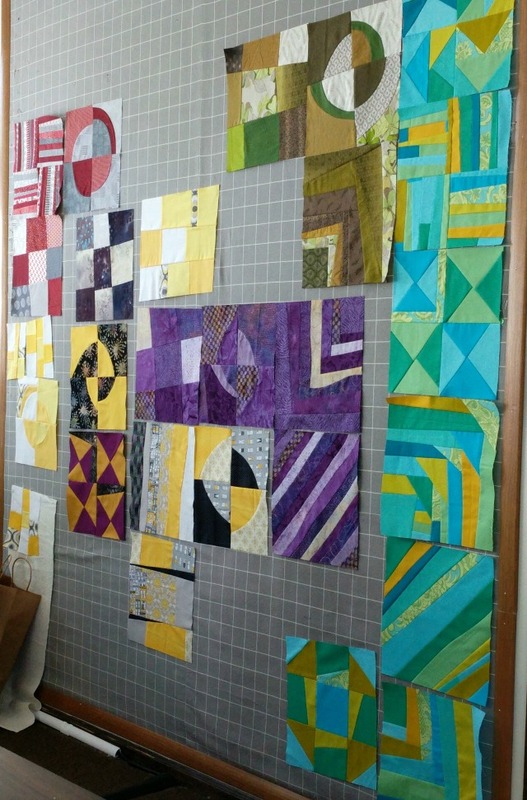 Before we knew it, everyone had their first block - an improv nine-patch - up on the design wall! It was an easy-going day, with everyone working at their own speed after beginning our time with some demonstration and a mini trunk show. 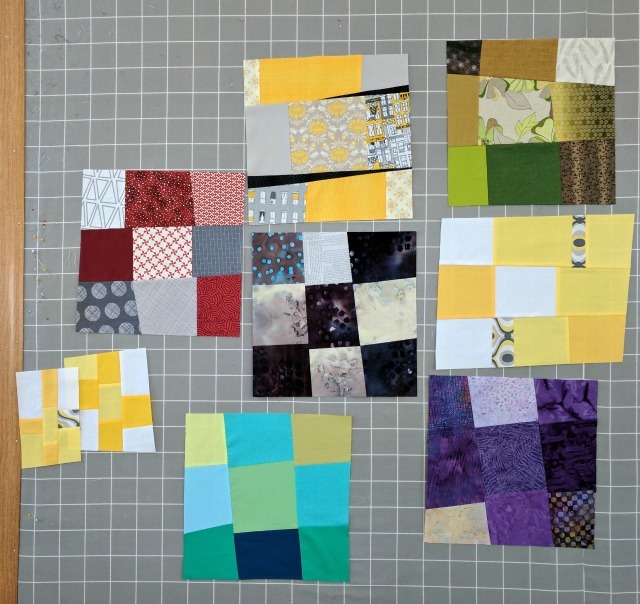 We chatted and shared everyone's blocks through the afternoon, and it was fun to see how each was unique to the maker. It kinda made my day when one of the students said, "You're a good teacher. You make it all so accessible." Oh yes.... precisely my intent. That was good to hear! So all in all, it was a really terrific day, and as a first-time teacher, I was more than pleased. Good times. It looked like a fun time. Beautiful room to spread out and sew in. Love all the happy faces - you taught a great class! Looks like a great time was had by all! 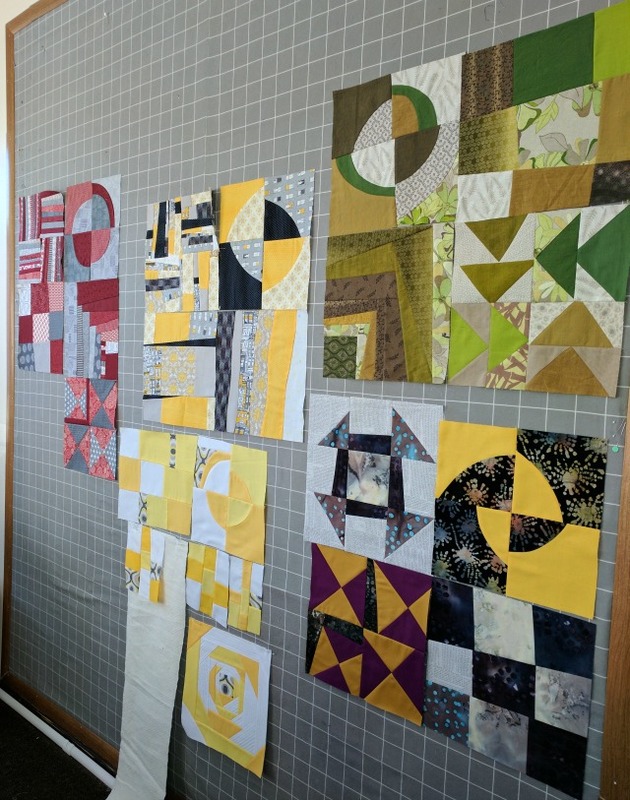 The fabrics used by each student work so well together, did you provide a little guidance in choosing fabrics? The true sign of a good teacher, the students feel empowered to create their work in their own style. From the looks of those smiles and all the creative blocks, I think you must have been a great teacher. Yeah for you giving teaching a try. It looks like everyone made some great blocks. Yay! Looks like everyone had a great time! Looks like a fun time was had by all! Gossypium is a great shop and their classroom is so beautiful. Glad you had a great class! That was your first time teaching? Super, I'm glad I took your class. I do feel 'empowered' now as Robby said. Oh great results from your students, I should have loved to be a "virtual" student, I'm in New Zealand! Congratulations Debbie ! Looks like a fun class ! That is the *best* kind of feedback! Congratulations! 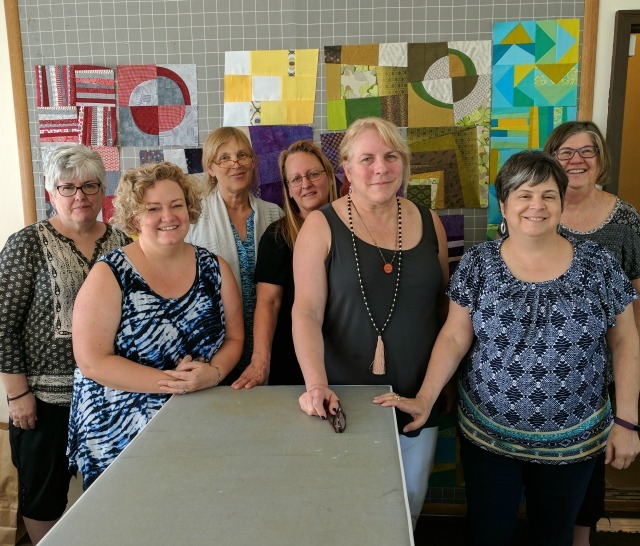 It sounds like a great way to get started and a wonderful group of quilters.